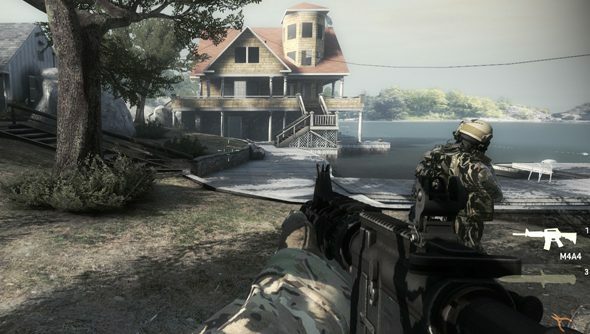 Valve announced plans this weekend for a $250,000 Counter-Strike: Global Offensive prize pool at DreamHack Winter 2014. The Swedish eSports and LAN organisation’s Jönköping flagship event will welcome eight quarter-finalists from ESL One Cologne, plus eight teams yet to be decided by regional qualifiers. This will be the fourth $250,000 CS:GO Major prize pool offered in the space of a year – rounding off a total $1 million awarded to CS pros since last November’s DreamHack SteelSeries Championship. DreamHack Winter will run from November 27 to 29. The event is now in its third decade – still the world’s largest LAN party, and still an invite to bring a sleeping bag and a PC. New this year is an all-expenses-paid Stockholm “boot camp”, where Valve and DreamHack will invite all 16 CS teams to train before the tournament. The finals will be streamed by DreamHack, as tradition dictates. The past season of Major tournaments has broken CS viewing records. More than three million tuned into ESL One Cologne in August. And you might have noticed – CS:GO is now, by some way, the second-most-played game on Steam. Player numbers have grown by more than 250% in the last year, and Counter-Strike Workshop contributors have made more than $3.5 million through item and map sales. Are you part of the silent majority that plays CS but never, ever mentions it in the comments here?